Did you know that Pine Grove is home to two unconventional staff members? They are Labrador retrievers Samantha and Tebow. Samantha has been at Pine Grove for nine years while Tebow has been here for almost one year. Both of them are beloved by the staff and patients. A fun fact about Tebow is that he is named after NFL Quarterback, Tim Tebow! The two staff members play an instrumental role at Pine Grove. Samantha is certified in all drug detection and worked with Pine Grove staff member, Derrick Guinn, to execute drug searches in all Pine Grove areas. She is, however, now retired from her search and find duties. Tebow has taken over these duties and he keeps the Pine Grove campus free of substances that could be detrimental to the patients’ recovery process. Samantha and Tebow also spend time with patients in a therapeutic capacity and this very beneficial to the patients. 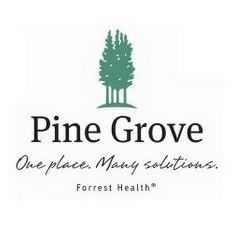 These lovable staff members provide comfort to the patients and are true assets to Pine Grove. Do you agree that Samantha and Tebow play an important role in the patient recovery process?